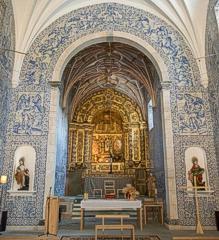 The starting point for the Pousada was the restoration of a sixteenth century convent situated in a valley in Arraiolos a city that is world-famous for its carpets. The Pousada is an example of the achievement of perfect harmony between the traditional and modern concepts of Portuguese architecture and a felicitous example of adapting the austerity of a convent to today's standards of comfort. A wonderful excuse to get to know the traditional art of carpet-making. 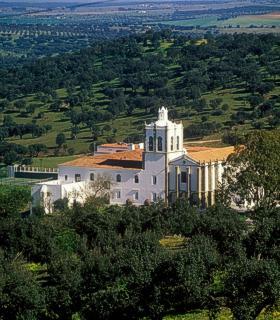 The ancient little town of Arraiolos about 20km/12 miles north of Évora, referred to by the Alexandrian geographer Ptolemy under the name of Arandia, is set in delightful surroundings on a low hill above the wide Alentejo plain, with magnificent views. The town is noted for its brightly colored woolen carpets which are made in a kind of cross-stitch. 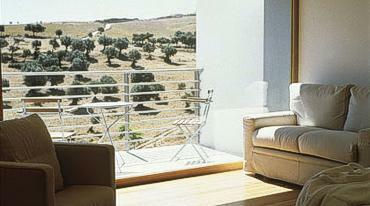 The Pousada has 30 Rooms and 2 Luxurious Rooms. 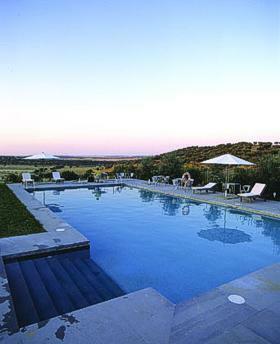 Surrounded by a unique and mystic landscape, the Restaurant of the Pousada offers a menu with the best flavours of Alentejo. 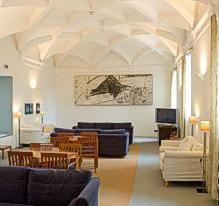 The Pousada has the ability to organize services like cocktails, coffee breaks and banquets. 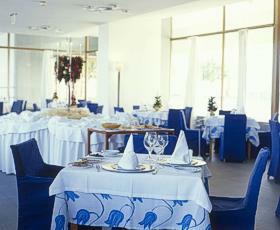 The restaurant has the maximum capacity of 140 people. 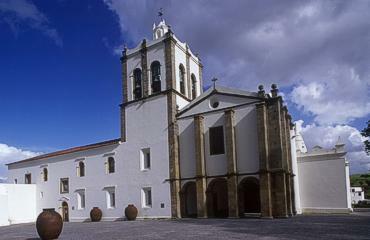 The Pousada Arraiolos is 130 km west of Lisbon. Your reservation is guaranteed to have the best rate available on the Internet. If you find within 24 hours of booking a lower rate for our pousadas on another website for the same room type, dates, and payment requirements we will match this rate. *Rates are valid up to 9 rooms, vary according to the pousada availability and variation of the best available rate, please double check rates when booking. 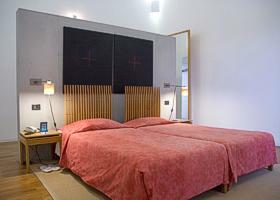 Cancellations: First night will be charged if reservation is cancelled less than 48 hours prior to arrival date. No-Shows: Entire stay will be charged.